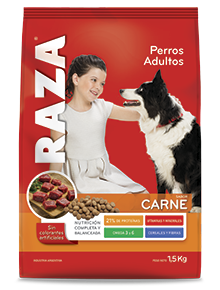 Pet Food RAZA is developed from natural ingredients and no artificial colors. Meet different products. All the loving care given to your pet should be complemented only with the best food available. 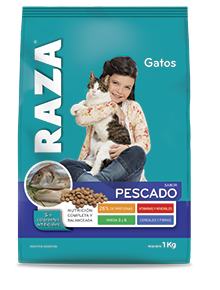 RAZA has been formulated with natural ingredients, free from artificial colorings, and with a vitamin-mineral complex including Omega 3 and 6. Play with your pet. He or she will wait for your five-minute play session every day, as this will stimulate and make him or her happy. 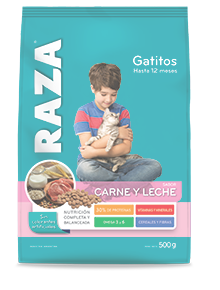 Cats should have taurine included in their diet to ensure eyesight and heart health. It is important to deworm your pet for disease prevention purposes. 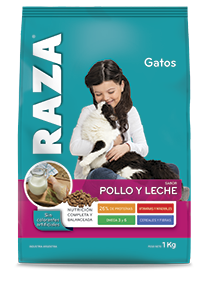 We advise you to ask your vet what product to use. 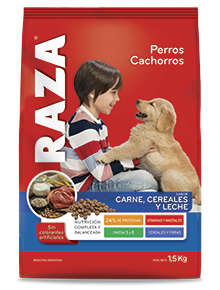 Make your pet get used to eating at regular times. Take the food bowl away after 15 minutes. This is the way to teach him or her that there is a time for eating. 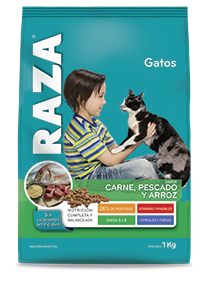 It is important to provide your pet with balanced food, as it contains proteins, carbohydrates, lipids, fibers, vitamins and minerals —all the necessary nutrients for a healthy life. Cats may suffer from a disease in their urinary system. If you see your pet cannot pee easily or bleeds when peeing, take him or her to the vet immediately. Choose the food type according to the age of your pet. 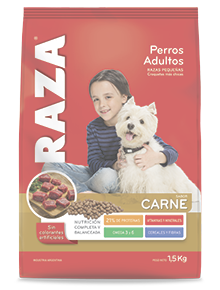 For example, puppies need more nutrients and energy than an adult dog. 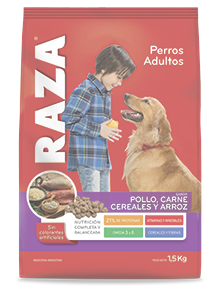 Collect your pet’s droppings from sidewalks and parks. Passers-by will be very grateful. Having a pet involves a great responsibility, as animals need to be cared for and loved. If you are thinking about bringing a dog or a cat into your life, follow these tips before making a decision. “For me it is important to find a balance between reason and heart. ®Copyright Molino Chacabuco S.A. All rights reserved.